Information regarding LitLunch 2019 will be coming soon. Build workplace morale with a little reading. Complete a sign-up form and share a book and good conversation with your co-workers today. It’s never too late to LitLunch! 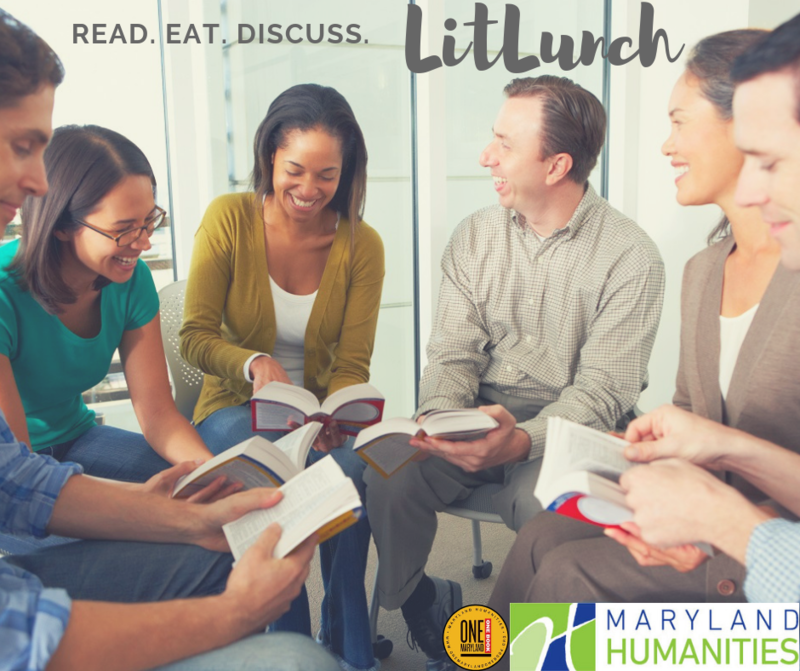 LitLunch encourages Maryland businesses and other organizations that may not typically be involved with literature programs to start up a workplace book club. 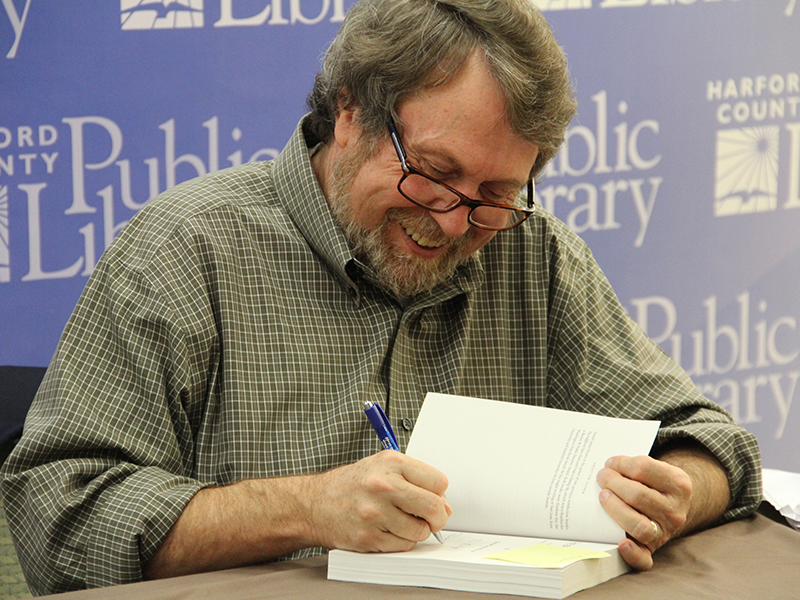 LitLunch was developed by the Maryland Center for the Book at Maryland Humanities. 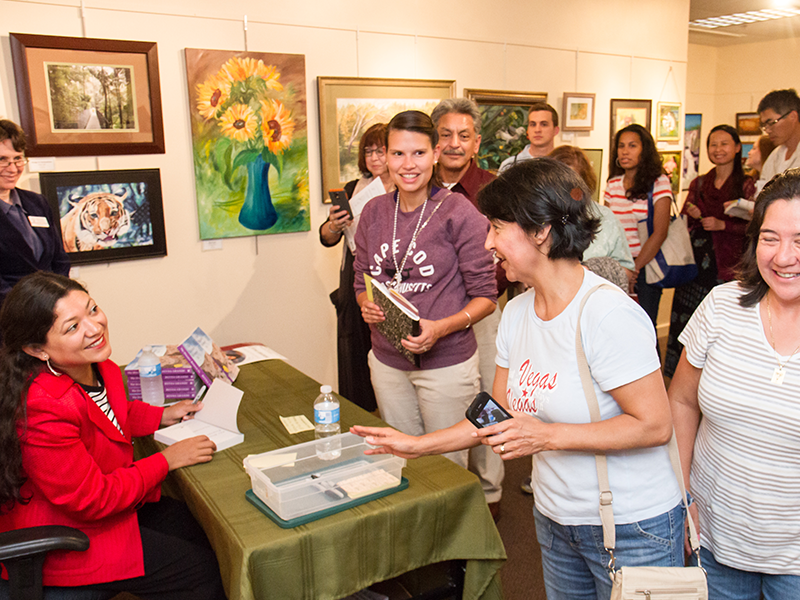 If your organization already has an established book club, we invite you to join us too! Complete a LitLunch sign-up form. 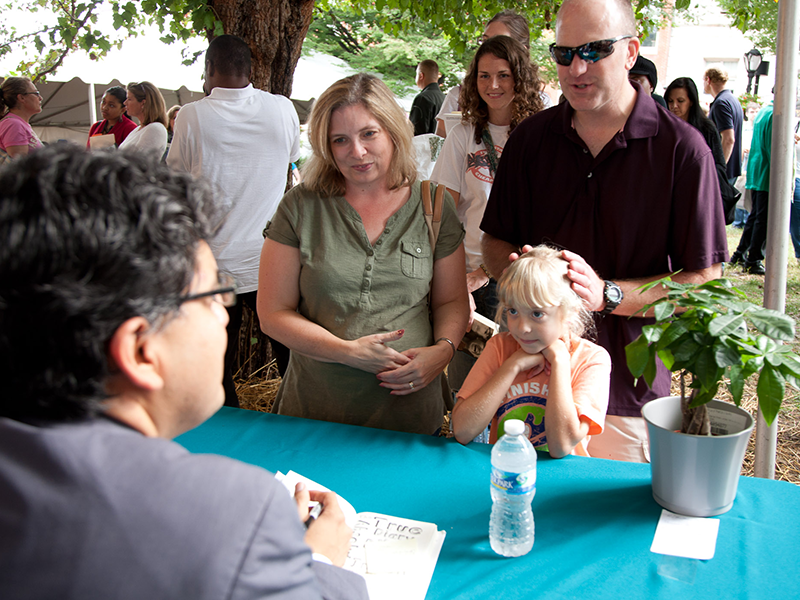 Employees of any organization in Maryland can start a LitLunch book club. How does LitLunch work? And why should my organization participate? Set the date, time, and location for your discussion: Make sure your group has ample time to read the book before the discussion. Ask your colleagues to brown bag it or, better yet, treat them to lunch! The big day: ready, set, discuss! 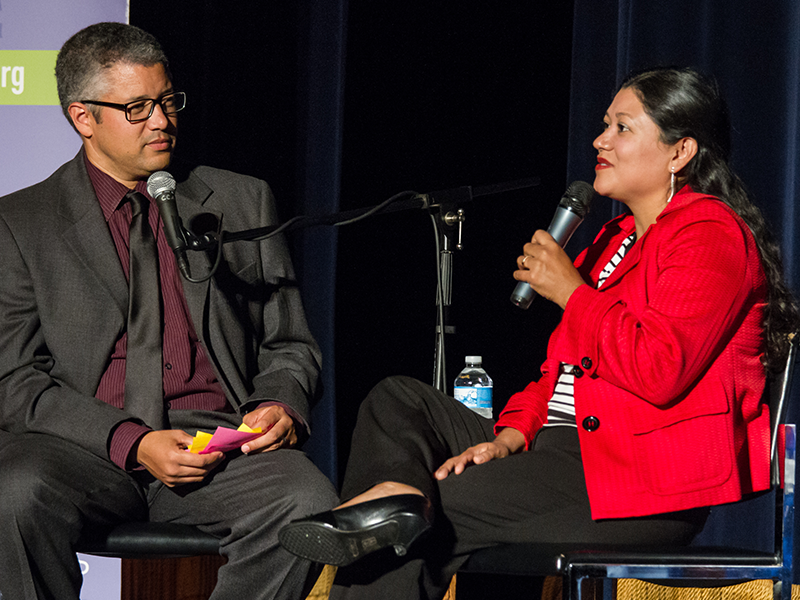 We recommend blocking off 60 – 90 minutes for this special discussion program. Why should we start a book club at work? LitLunch is a low-cost endeavor that supports morale and builds familiarity among staff and teams. Studies have shown a positive correlation between increasing opportunities for employee interaction and improving performance, innovation, and creativity. Through our work, Maryland Humanities has found that reading and discussion programs also foster better understanding among coworkers and across departments or teams, leading to richer workplace relationships. What book do we read for LitLunch? The 2019 One Maryland One Book selection: What the Eyes Don’t See: A Story of Crisis, Resistance, and Hope in an American City by Dr. Mona Hanna-Attisha. 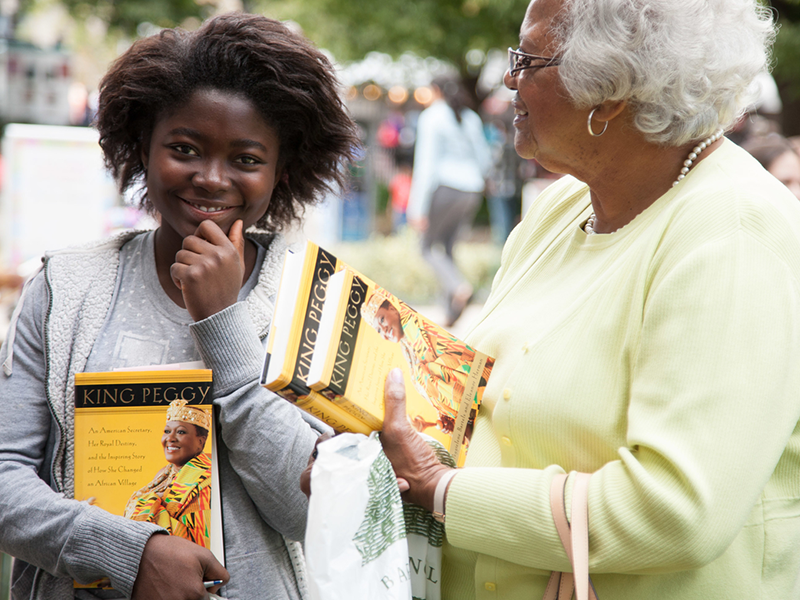 One Maryland One Book is an annual Maryland Humanities program that brings thousands of Marylanders together through the shared experience of reading and discussing the same book. Dr. Mona’s What the Eyes Don’t See is a gripping, inspirational true story that reads as a scientific thriller, as she fights to uncover the lead contamination in Flint’s drinking water. Once you start reading together, we think you’ll want to make LitLunch a regular offering at your organization. We hope you’ll join us in reading the One Maryland One Book selection each year and maybe even add a few picks of your own to your LitLunch reading list. 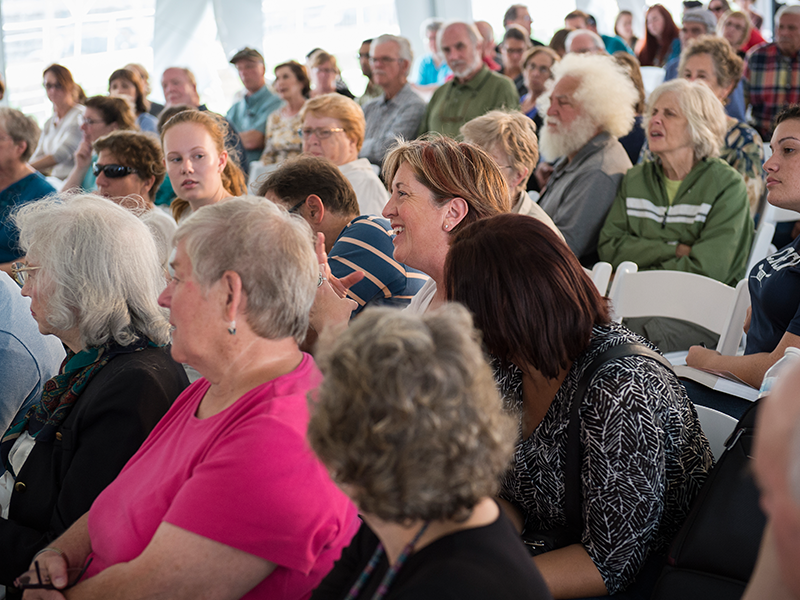 Can you help us organize our program? Yes! 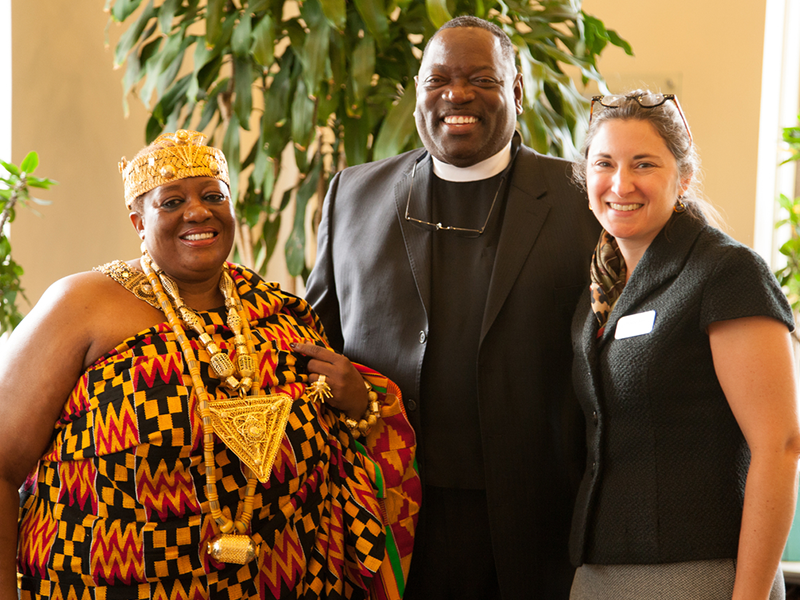 Just indicate on your sign-up form that you’d like a Maryland Humanities staff member to call you for a consultation. We’ll contact you, set up a meeting, and help you get started. We can even connect you with a local bookseller. There’s just one step! Complete the LitLunch registration form. Absolutely! We’ll check in with you after your discussion program to get your comments, reactions, and anything else you’d like to share. 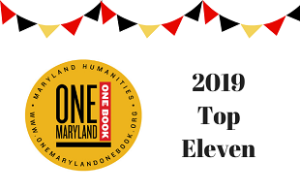 2019 One Maryland One Book: Top Eleven Titles Announced!